David Nesta "Ziggy" Marley (born 17 October 1968) is a Jamaican musician and leader of the band Ziggy Marley and the Melody Makers, and the son of reggae icon Bob Marley and Rita Marley. He also performed the theme song for the children's cartoon series Arthur . Ziggy Marley and the Melody Makers were a Jamaican reggae family group whose line-up consisted of the children of musicians, Bob Marley and Rita Marley, which includes lead singer Ziggy Marley with Sharon Marley, Cedella Marley, and Stephen Marley. Formed in 1979 in Brooklyn, New York, Ziggy Marley and the Melody Makers members began their musical endeavors in their pre-teens under the name The Melody Makers. Reggae is a music genre that originated in Jamaica in the late 1960s.The term also denotes the modern popular music of Jamaica and its diaspora. A 1968 single by Toots and the Maytals, "Do the Reggay" was the first popular song to use the word "reggae", effectively naming the genre and introducing it to a global audience. 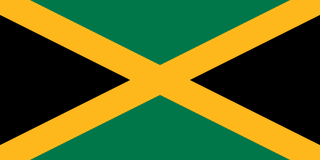 While sometimes used in a broad sense to refer to most types of popular Jamaican dance music, the term reggae more properly denotes a particular music style that was strongly influenced by traditional mento as well as American jazz and rhythm and blues, especially the New Orleans R&B practiced by Fats Domino and Allen Toussaint, and evolved out of the earlier genres ska and rocksteady. Reggae usually relates news, social gossip, and political comment. Reggae spread into a commercialized jazz field, being known first as ‘Rudie Blues’, then ‘Ska’, later ‘Blue Beat’, and ‘Rock Steady’. It is instantly recognizable from the counterpoint between the bass and drum downbeat, and the offbeat rhythm section. The immediate origins of reggae were in ska and rocksteady; from the latter, reggae took over the use of the bass as a percussion instrument. Melody Maker was a British weekly music magazine, one of the world's earliest music weeklies, and—according to its publisher IPC Media—the earliest. It was founded in 1926, largely as a magazine for dance band musicians, by Leicester-born composer, publisher Lawrence Wright; the first editor was Edgar Jackson. In 2000 it was merged into "long-standing rival" New Musical Express. Stephen Robert Nesta "Raggamuffin" Marley is a Jamaican-American musician who is the son of Bob Marley and his wife Rita Marley. Stephen is an eight-time Grammy Award winner, three times as a solo artist, twice as a producer of younger brother Damian Marley's 'Halfway Tree' and 'Welcome to Jamrock' albums, and a further three times as a member of Ziggy Marley & The Melody Makers. Sharon Marley Prendergast is a Jamaican singer, dancer, and curator. She is the biological daughter of Rita Marley and was adopted by Bob Marley when the two married. She was in the group Ziggy Marley and the Melody Makers along with her young sister and brothers. With the group, she has won three Grammy awards. Cedella Marley is a Jamaican singer, dancer, fashion designer, actress, and entrepreneur. She is the first-born daughter of reggae singers Bob Marley and Rita Marley and the mother of Skip Marley. Later that year, the Melody Makers made their on-stage debut as a group on 23 September 1979, performing on the same bill as their father for the first and only time at the ‘Roots Rock Reggae’ two-day concert series in Kingston's National Arena. Ziggy was 11 years old at the time. Notable other early moments in Ziggy’s musical history include a performance with Stephen at their father’s funeral in 1981, and later that year the Melody Makers released their second single, "What A Plot", under the family’s Tuff Gong record label. He received The George and Ira Gershwin Award from UCLA during UCLA Spring Sing on May 19, 2017. Later in 1984, Ziggy Marley got back into the studio with his siblings and English producer Steve Levine for what became the single, "Lying in Bed." The following year, they released their debut LP, Play the Game Right. 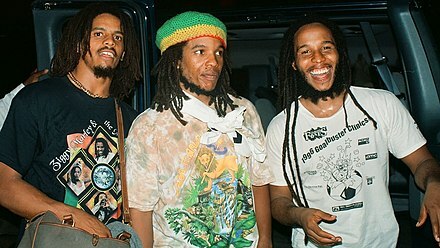 The album was produced by their mother, Rita Marley, and featured Aston and Carlton Barrett on bass and drums, respectively, who were originally the rhythm section for Bob Marley’s Wailers. In 1986, Hey World was released and credited to Ziggy Marley & the Melody Makers. This album laid the groundwork for the group's fast maturing sound. A phenomenal mix of upbeat pop and heavier roots, cemented by hip electro-production, it was evident that the Melody Makers were no longer in the thrall of their father's music, but had found their own voice. In support of the album, Ziggy Marley & the Melody Makers embarked on their first tour, a veritable Tuff Gong roadshow with Nadine Sutherland and the I-Three along as opening acts. The group was well received at the yearly Reggae Sunsplash in 1986 and 1987. In 1988, the band's popularity was at such a height that they were signed to the international major label Virgin Records. Later that year, they went into the studio with Tina Weymouth and Chris Frantz of Talking Heads to record their third album, Conscious Party. The album charted at #23 on the Billboard 200 and at #26 on the R&B Albums chart. The album spawned the successful single "Tomorrow People", which charted at #16 on the Mainstream Rock chart and #39 on the Hot 100. The second single "Tumblin' Down" was also well received charting at #1 on Hot Dance Music/Maxi-Singles Sales chart and at #28 on the Dance Music/Club Play Singles charts. The album received a Grammy award for "Best Reggae Album". The Melody Makers' follow-up album One Bright Day , released in 1989. The album charted at #26 on the Billboard 200 and at #43 on the R&B Albums chart. The single "Look Who's Dancin'" received positive feedback and charted at #41 on Hot Dance Music/Maxi-Singles Sales chart and at #23 on the Dance Music/Club Play Singles charts. The album also spawned the singles "Black My Story (Not History)", "One Bright Day", "Justice", and "When the Lights Gone Out". The album received a Grammy award for "Best Reggae Album". In 1991, the group released their sixth album, Jahmekya . Although it brought the Melody Makers their most glowing reviews, the record itself did not begin to equal the sales of their last albums, and their single, "Good Time", barely scraped into the bottom reaches of the charts. The single "Good Time" only charted #85 on Hot 100 charts. The album charted at #3 on the Top World Music Albums and at #63 on the Billboard 200. The album also spawned the singles "Rainbow Country", "Kozmic", and "Small People". The album received a Grammy nomination. In 1993, the group released their seventh album "Joy and Blues". The album charted at #5 on the Top World Music Albums chart, #75 on the R&B Albums chart, #178 on the Billboard 200 chart, and #11 on the Top Reggae Albums chart. Returning to their roots with a vengeance, and accompanied by former Wailers' bassist Aston Barrett, the album was their final one for Virgin. In early 1997, the group performed at the tribute concert "Marley Magic Live" in Central Park, New York on the Summerstage. They also released their second best-of album "The Best of (1988-1993)". Later that year, the group released their ninth album "Fallen Is Babylon". The album only charted #3 on the Top Reggae Albums chart. In 1998, the second single "Everyone Wants to Be" charted at #16 on the Dance Music/Club Play Singles chart. The album earned the group their third Grammy award. In 1999, the group released their tenth studio album, "The Spirit of Music". The album peaked at #1 on the Top Reggae Albums chart. The album spawned the singles "Higher Vibration", "Jah Will Be Done", and "One Good Spliff". Later that year, the group reunited to perform at the "One Love All-Star Tribute Concert". The concert was recorded and released in the same year and features other performances from Rita Marley, Julian Marley, Erykah Badu, and other artists. In 2000, the group released their live album "Ziggy Marley & the Melody Makers Live, Vol. 1", which charted at #5 on the Top Reggae Albums chart. In May 2001, the group released a concert DVD "Ziggy Marley & the Melody Makers Live". The DVD was filmed in 2001 in Pompano Beach, Florida. On 2 July 2006, his second solo album, Love Is My Religion , was released on his independent record company Tuff Gong Worldwide. The album carried on the reggae-style pop sound and the lyrical themes established in Dragonfly. 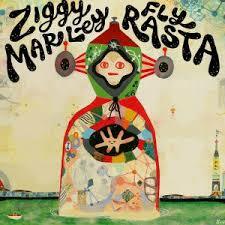 The album won a Grammy Award for Best Reggae Album,  making it Ziggy's 4th Grammy win. In 2013 his song "I Love You Too" won him a Daytime Emmy Award in the 'Outstanding Original Song – Children's and Animation' category, after it was used in the Disney Channel animation 3rd & Bird . Ziggy released his first children's book based on the song "I Love You Too," illustrated by Agnieszka Jatkowska. The book release coincided with the release of the I Love You Too interactive mobile app. He voiced Ernie, one of Sykes' (Martin Scorsese) Rasta jellyfish henchmen in the 2004 film Shark Tale . In the film when Oscar (Will Smith) tries to sing the Bob Marley song "Three Little Birds", Marley's character zaps Oscar on the head and says "That's not the way you sing that song, mon." The title song for the film was a cover version of "Three Little Birds" performed by Marley and Sean Paul. Further voice acting includes "Crockadle" on an episode of My Gym Partner's a Monkey , the Cheshire Cat in a 2010 episode of Wonder Pets , and Reflux the Knaaren in Rayman 3: Hoodlum Havoc. In 2011, Marley recorded the featured single for the film Beat the World , entitled "Express Yourself" featuring Nneka. Ziggy Marley released "A Fire Burns for Freedom", a pro-marijuana song in support of the 2010 California Proposition 19 ballot initiative to legalize recreational marijuana. Voters rejected the ballot initiative, but legalization ultimately occurred with the 2016 Adult Use of Marijuana Act. He performed in an episode of Sesame Street , playing his well-known song "Set Your Piggies Free", which encourages children to take off their shoes and socks and to explore nature with bare feet. The video involves many celebrities with their children, singing along. The main message of the video, however, is to just "Go Barefoot and Wiggle Those Toes!". Marley was featured in the song "Life Is A Honeymoon" with Florida Georgia Line, a popular single off of FGL's third studio album Dig Your Roots, which was released in August 2016. Conscious Party is Ziggy Marley and the Melody Makers' fourth album. It was released in 1988. This album became popular with the hits "Tumblin' Down" and "Tomorrow People". It won the Grammy Award for Best Reggae album in 1989. Julian Ricardo Marley is a British Jamaican reggae musician. He is the son of reggae artist and performer Bob Marley, and Lucy Pounder. Julian is known to be a Grammy award nominated, reggae singer, musician, songwriter, producer and humanitarian. He follows into his father's footsteps and is a devout Rastafarian who uses his music to inspire his life and spirituality. Sidilla Editha "Cedella" Booker was a Jamaican singer and writer. She was the mother of reggae musician, Bob Marley. One Bright Day is the fifth album by Ziggy Marley and the Melody Makers, released in 1989. It won the Grammy Award for Best Reggae Album in 1990. Free Like We Want 2 B is the eighth album by Ziggy Marley and the Melody Makers released in 1995. Robert Nesta Marley, OM was a Jamaican singer and songwriter. Considered one of the pioneers of reggae, his musical career has been marked by blending elements of reggae, ska, and rocksteady, as well as forging a smooth and distinctive vocal and songwriting style. Marley's contributions to music increased the visibility of Jamaican music worldwide, and made him a global figure in popular culture for over a decade. "Jamming" is a song by the reggae band Bob Marley and the Wailers from their 1977 album Exodus. The song also appears on the compilation album Legend. 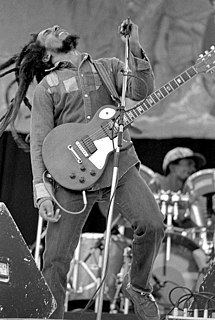 The song was re-released 10 years later as a tribute to Bob Marley and was again a hit, as in the Netherlands, where it was classified in the charts for 4 weeks. In Jamaican patois the word jamming refers to a getting together or celebration. It is still receiving moderate airplay from adult alternative stations. 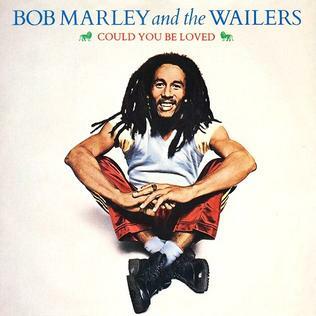 "Could You Be Loved" is a song by Jamaican reggae band Bob Marley and the Wailers. It was released in 1980 on their last album Uprising and is included on Bob Marley & The Wailers greatest hits album Legend. It was written in 1979 on an aeroplane while The Wailers were experimenting on guitar. Tuff Gong Worldwide is a record label formed by Ziggy Marley. He used the same name as his father's label, but changed the word international to worldwide. This is a listing of official releases by Ziggy Marley, a Jamaican singer and musician from 2003 forward. Ziggy Marley started his musical career with some of his brothers and sisters as the Melody Makers in the 1980s, performed and recorded albums with them from 1983-2001, not included here butat Ziggy Marley, section discography. 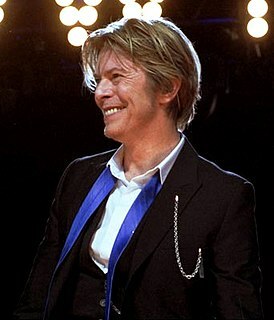 His first solo album, Dragonfly, was released in 2003, followed by Love Is My Religion in 2006. The album won a Grammy for Best Reggae Album. In 2009, Marley released his third album Family Time. This album won a Grammy for "Best Musical Album for Children". The discography of Ziggy Marley and the Melody Makers, a Jamaican reggae family group, consists of ten studio albums, one live album, four compilation albums, twenty-three singles and four video albums. Samuel Denison "Sam" Martin is an American Grammy Award-winning musician, singer, songwriter and record producer. His song "Want to Want Me" holds the record for the most adds in the American contemporary hit radio history. Martin's first song he wrote for another artist became the song "Daylight" by Maroon 5, which peaked at number one on the Billboard charts. His writing on the album Fly Rasta, released by Ziggy Marley, led it to becoming a number-one reggae album as well as a receiving a Grammy Award. He rose to the public eye in 2014 for not only writing but being a featured artist on David Guetta's number-one singles "Lovers on the Sun" and "Dangerous". His work extends to projects with One Direction, Nick Jonas, Zedd, Flo Rida, Prince Royce, The Chainsmokers, Pitbull, Jon Bellion, Snoop Dogg, T.I., Julia Michaels, Armin van Buuren and G-Eazy. Sam Martin also has a side project called "Con Bro Chill" who have released singles including "We Should Hang Out". Fly Rasta is the fifth solo studio album by Jamaican reggae artist Ziggy Marley, released on April 15, 2014, on Ziggy's own label, Tuff Gong Worldwide. The album marked Ziggy's return after the Grammy-winning album Ziggy Marley in Concert. Skip Marley is a Jamaican singer-songwriter. He is the son of Cedella Marley, and grandson of Bob Marley. Jesse David Royal is a Jamaican reggae singer. ↑ "Bob Marley Ziggy One Love Peace Concert Pictures". ↑ "Family Business, Jamaica, 1979". www.telegraph.co.uk. The Telegraph. ↑ "Ziggy Marley - Timeline Photos - Facebook". ↑ ZIGGY MARLEY & THE WAILERS - Ao VIVO 1984- Lively up Yourself -Reggae JAMAICA. YouTube. 28 February 2012. ↑ Ziggy Marley & The Wailers - Get Up Stand Up Bob Marley Day Burbank, CA Nov 3rd, 1984. YouTube. 31 October 2011. 1 2 Jason Ankeny. "Ziggy Marley". AllMusic. ↑ "Ziggy Marley - Official Website". Ziggy Marley. Archived from the original on 20 December 2014. ↑ "Ziggy Marley and His Israeli Wife Orly Celebrate All the Jewish Holidays – The reggae scion says he also grew up reading the Old Testament and Tanach". Jewcy. 15 March 2013. Retrieved 2 April 2013. ↑ "Ziggy keeps the family business growing". Albuquerque Journal . July 6, 2012. Retrieved 14 February 2019.